In two recent articles [in the April 2015 issue of the Transactions of the Unitarian Historical Society and the June 2015 issue of the Non-Subscribing Presbyterian magazine] I have written about the Rev John Orr (1829-1896) a scholarly and successful minister in nineteenth-century Ireland whose career took a strange and unexpected turn when he emigrated to the United States in 1879. Whatever the intention of his move to New England his career didn’t flourish on the other side of the Atlantic and by the time of his death he was little remembered in his homeland. This is a pity because he was an important figure in his own day whose two major published works won plaudits and whose ministry at Comber, co. Down helped to establish and grow a fairly new congregation. It wouldn’t be an exaggeration to say that he had been almost forgotten since leaving Comber for Cambridge, Massachusetts in June 1879, although the first step towards raising his profile probably came with the publication of the Thoemmes Dictionary of Irish Philosophers in 2004 in which I co-wrote the entry on him with Professor M.A. Stewart. But following my article on John Orr in the 2015 Transactions the second article in the Non-Subscribing Presbyterian is as much about his family background – as both the son and the brother of Non-Subscribing Presbyterian ministers he was part of a notable dynasty – and this also deserves to be noticed. there he was brought up under the guidance and auspices of that foremost champion of Unitarian Christianity, that true and consistent representative of the earnest loving spirit of the pure and living faith of the Gospel – the buoyant, persevering, and self-sacrificing Fletcher Blakely. This input, together, no doubt, with his education at Moses Neilson’s Rademon Academy, (supplemented by time at Glasgow University and the Belfast Academical Institution) led him to incline towards the non-subscribers by the time of the second subscription controversy. 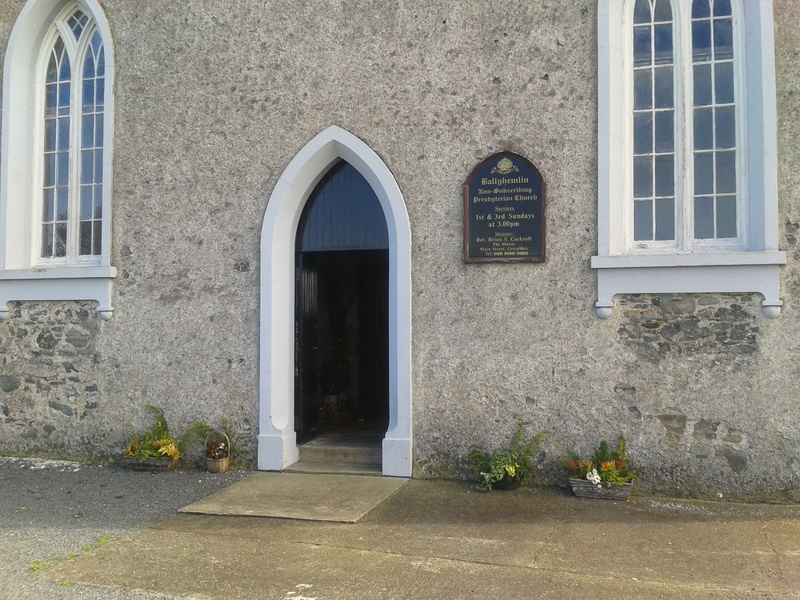 Alexander Orr was already minister of Second Anaghlone by this time but although his sympathies were with Henry Montgomery and his followers he and his congregation did not join the Remonstrant Synod in 1829 and he waited until 1838 before joining them when he became minister of Ballyhemlin. Here he kept a classical school and remained as minister until his death in 1869. This provides the background for the ministry of his son, the Rev John Orr who was both minister at Comber and, from 1866, Professor of Church History, Pastoral Theology and Moral Philosophy for his denomination. If you want to read about him, his publications, his ideas, his importance, and his mysterious emigration to the USA at the age of 50 then the full story can be found in my article ‘Rev John Orr of Comber, county Down and Cambridge, Massachusetts’ in the April 2015 issue of the Transactions of the Unitarian Historical Society, but I will attempt now to place him in the context of his family. Alexander married Nancy Porter and all three of their children (at least those that we know about) were born while he was minister at Anaghlone. Unfortunately no baptismal register survives for that congregation so we can’t check for additional siblings and we don’t have accurate dates of birth for two of the three brothers. The eldest son, however, was named Porter Orr and must have been born in about 1826 and he was the first to follow his father into the ministry. Like his father, and his brother John, Porter Orr trained for the ministry at the Belfast Academical Institution. College records at the time are not complete, however, and although we know that his time as a student overlapped with John Orr we don’t know so much about his time there. At the end of his time as a Remonstrant student he became part of the export of ministers produced by the non-subscribers. Training ministers to a high standard there was a surplus of potential ministers over vacancies and a number of students took up pulpits at churches in England. After being licensed by the Presbytery of Bangor Porter Orr accepted a call to the Unitarian church at Ringwood in Hampshire in 1845. With its origins in the seventeenth century the meeting house, then known as St Thomas’ Chapel, was built in 1728. Porter Orr stayed here for five years before accepting a call to Strabane and returned to Ireland in 1850. As a new congregation Strabane was part of the fruit of the quite committed and successful missionary effort of the Remonstrant Synod and one of the few congregations to be founded west of the Bann. Porter Orr was the third minister of the congregation and had succeeded his brother John who had been minister there from March 1848 to May 1850. Recently a portrait has come to light of a minister painted in about 1850. Generously donated to the Comber Church by a direct descendant of John Orr this shows a youngish man in the clerical attire of the mid-nineteenth century. It is undated and has been reframed in modern times, when someone has written on the back the name Thomas Porter Orr. I think we can fairly confidently assume that this is a portrait of the Rev Porter Orr. 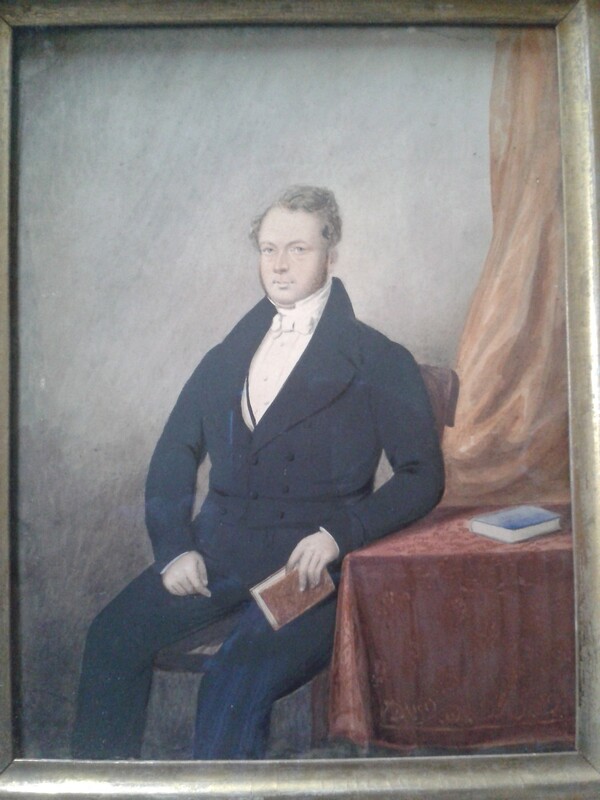 It is only small in size, the books in the portrait cannot be identified, but its provenance in the Orr family and the fact that it is certainly a clergyman would suggest – to me at least – that Thomas Porter Orr and the Rev Porter Orr were one and the same person. The portrait could have been made in Ringwood or Strabane, we can’t know for sure, but it is a charming and touching memento of a life that was cut short. Porter Orr resigned his charge on 30th January 1855, he died less than two weeks later on 12th February. The congregation of Strabane did not last much longer, Porter Orr was the last minister and the congregation effectively ceased in 1857. But it was important to the Orrs and the denomination. 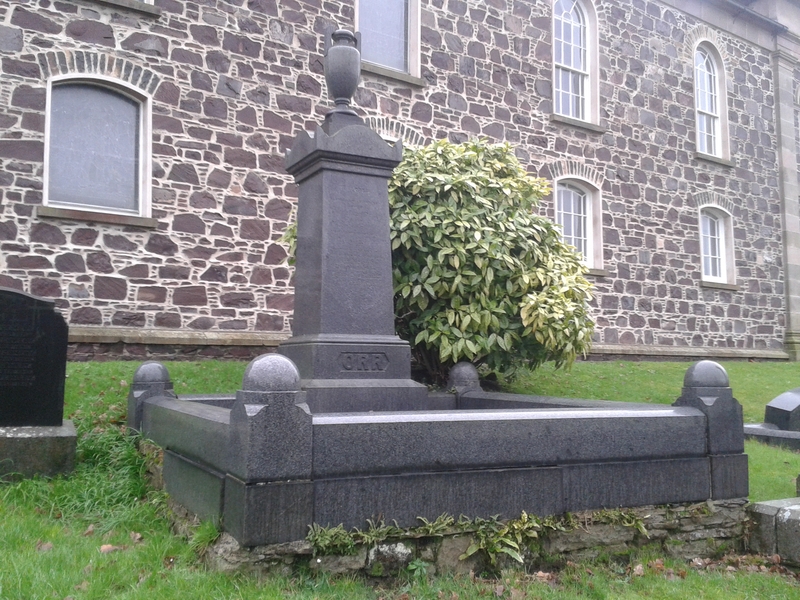 John Orr was there long enough to meet his wife – Sarah Jane Porter – the daughter of James Porter, one of the founders of the Strabane congregation, and they married in October 1851. Sarah Jane’s sister, Catherine, married the Rev David Maginnis, another prominent minister in the last half of the century, in 1845. Of his brother John Orr we can say that he was one of the outstanding intellects of his generation of ministers within the Non-Subscribing Presbyterian churches, but despite his highly successful ministerial and academic careers, along with David Maginnis, his brother in law, he often found himself at the centre of the increasingly strident infighting that bedevilled the non-subscribers at the time, although he was held in high regard by his colleagues, especially those who shared his radical theological views. What impelled Orr to leave for America? Was it a sense of bereavement following the death of his first wife at the age of 42 in 1865? Or was it some sense of unfulfilled ambition? Or a sense of dissatisfaction with his denomination? Or had some issue arisen in Comber that meant he should depart? Again we will never know exactly. But we know quite a lot about what he did in America, the introductions he had and the aims he carried with him across the Atlantic. We know also that he died on 19th August 1896 and was buried in Mount Auburn cemetery, Cambridge, Massachusetts. His second son Alexander, who was a journalist, joined him in the Boston area but predeceased him in 1891 aged 35 and was buried in the same cemetery. His youngest daughter lived in Boston until 1960 when she died and was buried in the same plot as her father. What became of his second wife Agnes is not known. Most of the rest of the family are commemorated on the imposing memorial in the graveyard in Comber. Next Article St Mark, St Thomas and St Michael – a trinity of Unitarian saints?